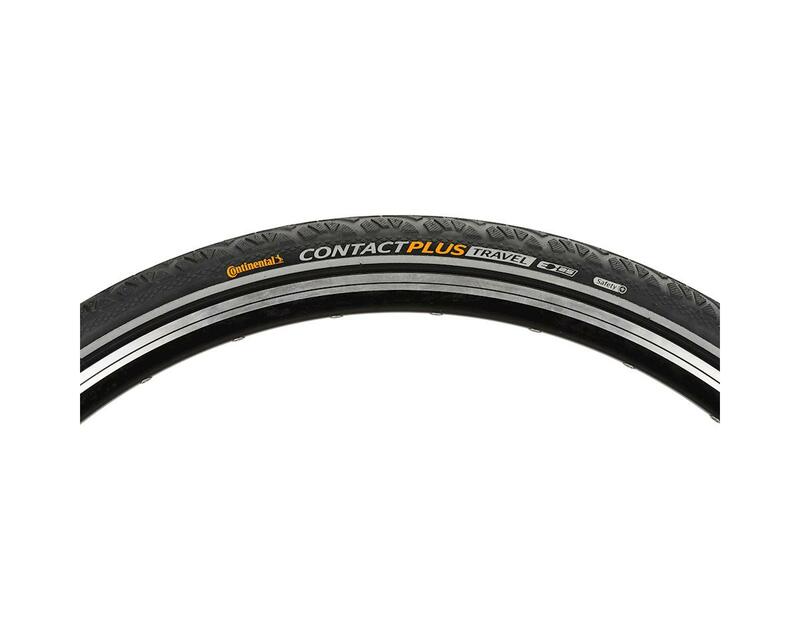 The Continental Contact+ (Plus) Travel with Reflex technology is an ideal choice for the rider looking to enjoy a carefree ride on country paths, and lanes. 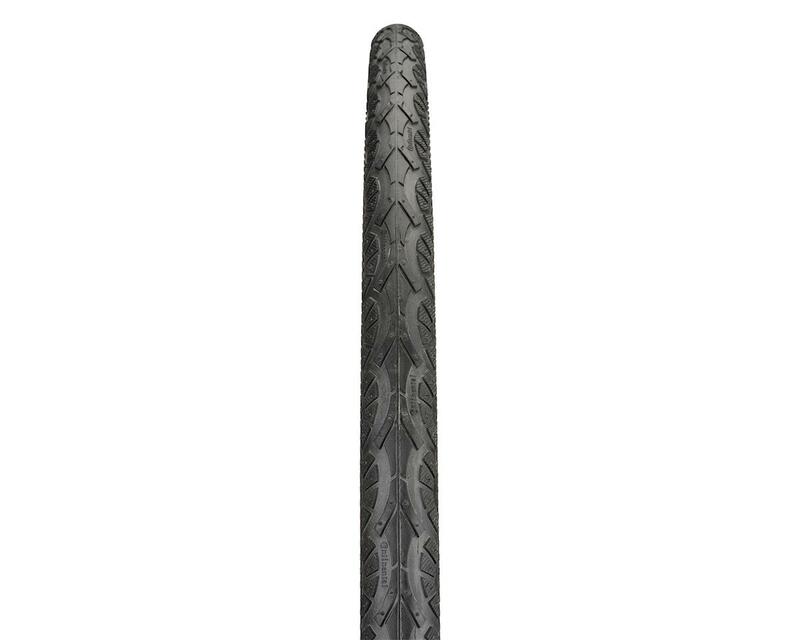 The universal tread pattern allows riders to enjoy all types of terrain from tarmac, to the country side dirt roads, forest trails, and meadow paths. 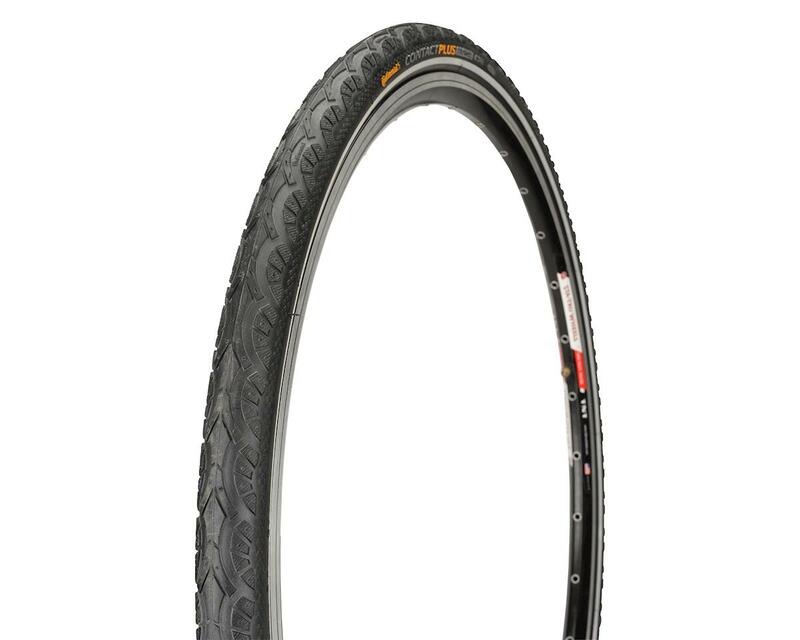 Featuring maximum puncture protection, thanks to a highly elastic special rubber; riders don't have to worry about flatting out in the wilderness. Additionally featuring 3M's Reflex Technology, a reflective sidewall will help ensure you're visible in in all lighting conditions thanks to the silver light reflecting strip.